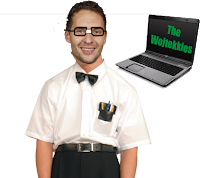 Wojtek Wolski played in the first 2 games of the NHL Playoffs in 2012 for the Florida Panthers. After playing less than 21 minutes and making no impact on the scorecard he was a healthy scratch for the next 5 games in the series. Over the course of 2011-12, Wolski went from healthy scratches with the Rangers to healthy scratches with the Panthers and in the past 3 seasons he has played for 4 different teams. The Caps have allegedly told Wolski he can be a top-6 with the Capitals in the upcoming 2012-13 season; although they only gave him a $600,000 one year deal. If the team actually believes that bold statement then this is a great low-risk high-reward deal. But do the Caps really feel that a guy who has struggled to contribute to good hockey teams following a sports hernia injury can be one of the main scorers on the team? The Caps will be without Alexander Semin in the upcoming season and they would have to be sent to Shutter Island if they believed that Wolski could possibly fill even a part of the elite Russian's skates. I know you Caps fans want to be part of the Wojtekkies!